If you want life insurance in Bryan OH, Defiance OH, Montpelier OH, Napoleon OH, Waterville OH or Wauseon OH, then Beck Insurance can help. They have access to some of the best life insurance plans available. That is because they work closely with major carriers and can source the best plans and options for you. Life insurance is not so much about protecting your financial interests as it is about protecting the financial interests of your loved ones. It is human thing to want to take care of those we love, even when we are no longer able to. Life insurance enables you to take care of your family after your death. They will have enough to grieve about without still having to worry about immediate money and finances. Generally, there are two main forms of life insurance. Term life and whole life. Term life covers your life for a specified amount of time – for example 20 years. Should you die within that 20 year period your life policy will pay out to your specified beneficiary or beneficiaries. This is a good option for a young couple starting out. Term life is cheaper then whole life and protects your loved ones should the unexpected happen. Whole life covers your life for as long as you live. The policy will pay put to your chosen beneficiaries. It also possible to get life policies that have an endowment or investment component. An endowment policy accrues a cash value over time. You can redeem this cash value in the future. Closely related to a life policy is a disability policy. Disability insurance will look after you and your loved should you become disabled and unable to work. Life policies can also be used to protect partners in a business. This kind of keyman insurance can help protect the future of a business should one of the key partners die or become disabled. Bryan, Defiance, Montpelier, Napoleon, Waterville, Wauseon OH Life Insurance. Offering Homeowners Insurance in Wauseon, Waterville, Napoleon, Montpelier, Defiance, Bryan OH. Beck Insurance can help you with best value homeowner’s insurance in Bryan OH, Defiance OH, Montepelier OH, Napoleon OH, Waterville OH or Wauseon OH. Homeowners insurance protects your investment in your home as the content inside your home. Your home is one of the biggest investment you will ever make and you want to protect your investment with the right home insurance. That is why is makes sense to use the services of an insurance professional when deciding about important coverages such as homeowner’s insurance. Beck Insurance Agency has been around for a while and they understand your insurance needs are different from that of your neighbor. They also understand you need insurance solutions that match your budget and your circumstances. Since Beck Insurance is and independent agency, they can source solutions and plans from a variety of carriers and can find the best plans for you. When it comes to home insurance there are common risks that all homeowners face. These include risks such as fire, storm damage, accidents, theft and liability claims. You would want your home insurance to cover all of those. However, there are certain risks that most insurance carriers shy away from. A good example is flood insurance. That is because flood damage usually extensive and covers a large area. The claims related to flood damage could put a carrier out of business. That is why flood insurance is not a standard part of homeowner’s insurance. You need to get separate flood insurance. That could also apply to other potentially large-scale disasters such as earthquakes. It is important to check with your insurance advisor regarding what is included and what is excluded in your homeowner’s insurance policy. That way you can access the risk and decide whether its worth getting special insurance for certain events. Bryan, Definace, Montpelier, Napoleon, Waterville, Wauseon OH Homeowners Insurance. Offering Life Insurance in Wauseon, Waterville, Napoleon, Montpelier, Defiance, Byran OH. Have you recently purchased a car or are planning to buy one in future? Then, there’s one suggestion for you. Along with the car, please purchase auto insurance as well. Wondering, why you need to invest on car insurance? Well, you need to purchase insurance so that you can get some financial back up when your car gets damaged due to an accident or for the injuries other drivers, passengers or pedestrians on the road. If you are still thinking that purchasing car insurance is not necessary then, please go through the Road Traffic Act 1988. According to this act, every motorist must be insured against their liability to other people. So, wait no more; get this insurance to get financial backup after a massive road mishap. There are many companies in Bryan OH, Defiance OH, Montpelier OH, Waterville OH, and Wauseon OH that can provide you with a car policy. But, if you want to purchase it from a reliable company then, immediately contact Beck Insurance Agency. Wondering, why our company, Beck Insurance Agency is considered to be a reliable insurance agency? Well then, please go through the reasons given below. Years of experience- There are surely many insurance agencies in Bryan OH, Defiance OH, Montpelier OH, Waterville OH and Wauseon OH. But, very few agencies have years of experience when it comes to providing the apt insurance for vehicles. We, Beck Insurance Agency, fall under the category of those agencies which have immense experience in this field. We have been providing car insurance for the past 69 years. Isn’t that a lot? And, it’s our years of experience that has helped us gather a lot of reputation and helped us establish ourselves as a reputed company. So, if you want to buy a car policy, you can undoubtedly count on us. Licensed agents- Another major reason why people consider us as a reliable insurance agency is because, all the agents working for us are licensed and have immense experience in this field. Hence, if you are first-time insurance buyer, be rest assured, our agents will really work hard to help you find the apt insurance for your car, which will fit your needs as well as budget. The best quality about our professionals is that they’ll not just find one policy for you. Instead, they’ll find more than one policies so that, you can patiently check all of them and choose the one that you feel is ideal for you. In fact, they will also help you to deal with the paperwork related to the policy and make the claiming process easier, during emergency situations. So now, when you know the reasons why we are considered to be a reliable insurance agency, what are you waiting for? Get your car insurance policy right away by calling us at our toll-free number 877-446-2325. Bryan, Defiance, Montpelier, Waterville, Wauseon OH Auto Insurance. Insurance in Bryan, Defiance, Montpelier, Wauseon OH. Home Insurance in Bryan, Defiance, Montpelier, Wauseon OH. Insurance is a great tool for risk management but it also enables you to insure your person, thereby protecting the financial interests and well-being of your loved ones should something happen to you. This type of insurance is called life insurance and it comes in a few different flavors. Beck Insurance Agency can help you with life insurance in Bryan OH, Defiance OH, Montpelier OH, Waterville OH or Wauseon OH. As a provider for your family and loved ones it is just natural that you would want them to be taken care of when you no longer can. Life insurance lets you do just that. You get two main types of life insurance – term life and whole life. Term life covers your life for a fixed period – normally 20 years. Should you die during this time frame your life insurance will pay out the benefits specified to your name beneficiaries. This could be in the form of a lumps sum or annuities or some combination of the two. Term life insurance is cheaper than whole life and is a good option for young couples starting out or someone who needs cover for a certain period of risk. Whole life covers your life for as long as you live. You just need to pay the premiums. Should you die at any point in time, your named beneficiaries will receive the benefits specified in the policy. Whole life insurance can also include and investment portion which will in time assume a cash value. This type of policy is also referred to as an endowment policy. Life insurance can also be extended to include disability cover. That way you can still receive an income and provide for your family should you become disabled and be unable to work. As a business owner or manager, you have a lot on your plate. The last thing you want to worry about is the nitty gritty of business insurance. Beck Insurance can help you with business insurance in Bryan OH, Defiance OH, Montpelier OH, Waterville OH or Wauseon OH. They know where to find the best deals when it comes to commercial insurance. They also take time understand your business and your related insurance requirements and can tailor a plan that’s right for you. Business covers many areas and there also many risks. That is why business insurance needs to address many different areas. Commercial insurance is also complicated and shrouded in language that only lawyers and insurance specialists understand. There is not a one fits all insurance policy. However, you do get a BOP (business owners policy) that addresses some of the common risks and issues faced by most small and medium businesses. These include liabilities and property cover as well as loss of income. Public liability insurance is an essential part of any commercial venture. Should members of the public be injured or suffer losses that result from your business operations, you could face crippling and damaging 3rd party claims. Liability insurance covers you in the event of such claims. Every business faces potential property loss due to events such as fire, storms, theft, malice and accidents. Property insurance with covers your assets such as land and buildings, equipment, machinery, furniture, fittings and so if a specified risk or event takes place. Loss of income could be you biggest nightmare in the event of a fire or similar disaster. Loss of income protection should be an important component of your business insurance and risk management strategies. There are other aspects to business insurance such as commercial auto, workers’ compensation, group medical, speciality insurance, comprehensive, umbrella and so on. Beck Insurance can help you with right business insurance in Bryan OH, Defiance OH, Montpelier OH, Waterville OH or Wauseon OH. CPSC Chairman Elliot F. Kaye held a press conference this week to bring attention to the dangers of fireworks especially for children and debut a video dramatizing the dangers of various popular fireworks including sprinklers and bottle rockets when they are misused. “You have to keep fireworks, especially sparklers, away from kids,” Kaye said. He said sparklers burn as hot as a blowtorch. New York Giants professional football player Jason Pierre-Paul has filmed a public service announcement with CPSC in which he talks about the fireworks injury that blew off much of his hand in 2015. “Leave fireworks to the fireworks professionals,” Pierre Paul says in the video. Kaye noted that even a professional athlete like Pierre-Paul does not have the reflexes to avoid injury. •On May 15, 2016, a 38-year-old male from Arizona was fatally injured in the garage of his single-family home while apparently attempting to manufacture fireworks. In the victim’s home, investigators found a large quantity of fireworks and firework manufacturing components, which had been purchased on-line from an out-of-state supplier. •On July 4, 2016, a 42-year-old male from Florida suffered fatal injuries when the fireworks device he was lighting malfunctioned. The victim was trying to set off large mortar-type fireworks in a PVC pipe that was anchored to the ground. •A 27-year-old male from Georgia died shortly after the new year of 2016 from a fatal fireworks accident. According to the witnesses at the scene, the victim accidentally placed a firework in a tube upside-down and then lifted the tube above his head. The firework exploded from the bottom and struck the victim in the neck. •On July 5, 2016, a 26-year-old male from Kansas fell off the roof of his home after a mortar type of fireworks device exploded in his hand near his chest. According to the witnesses, the victim was on his roof shooting firearms and the explosion knocked the victim backwards off the roof. CPSC staff has reports of 114 fireworks-related deaths between 2001 and 2016, for an average of 7.1 deaths per year. The people who sell fireworks, the American Pyrotechnics Association, report that while sales of fireworks in the U.S. rose from 29 million pounds in 1976 to over 268.4 million pounds in 2016, fireworks injuries have declined. The injury rate was almost 43 percent lower in 2016 compared to 2000, the group says. In 2016, the injury rate per 100,000 pound of fireworks consumed was 4.1. The APA credits industry safety education efforts and better quality products. The APA also says that over the past decade, injuries have gone down even as states and municipalities have relaxed their fireworks laws to permit more types of fireworks to be sold. There are only three states that still prohibit the sale of all consumer fireworks: Delaware, Massachusetts and New Jersey. 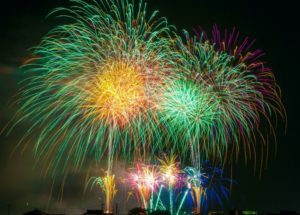 “Serious misuse of fireworks devices, as well as the use of illegal explosives, account for a large proportion of these fireworks-related injuries,” says the APA, which adds that fireworks industry has stepped up its public safety education efforts. The group also notes that fireworks are not the leading cause of consumer injuries; close to 20,000 people are injured every year by barbecue grills and more than 120,000 by baseballs. One of the dangers is that sometimes fireworks don’t go off as expected. Michelle Pantoya, a professor in the Department of Mechanical Engineering at Texas Tech University, has studied duds, that is fireworks that don’t fire after they are lit, and says they can be dangerous. There are many reasons a firework might fail; if it happens, she warns against relighting it. “My suggestion is just not handle duds because you never know if there’s still enough of an ember burning somewhere that you can’t see that could ignite it when you’re actually going to touch it,” says Pantoya. She also warns against using old fireworks. That’s because most “off the shelf” fireworks are good for about a year. She recommends having sand and water on hand if fireworks will be part Fourth of July family festivities. “Even small embers, little sparks, are trajectories from some of these fireworks (and) could easily start even just a local fire in your backyard,” said Pantoya. •Of the fireworks-related injuries sustained, 61 percent were to males, and 39 percent were to females. •Children younger than 15 years of age accounted for 31 percent of the estimated 2016 injuries. •Thirty-nine percent of the estimated emergency department-treated, fireworks-related injuries were to individuals younger than 20 years of age. •Young adults 20 to 24 years of age had the highest estimated rate of emergency department-treated, fireworks-related injuries (4.9 injuries per 100,000 people). •Children younger than 5 years of age had the second highest estimated rate (4.4 injuries per 100,000 people). •There were an estimated 900 emergency department-treated injuries associated with sparklers and 400 with bottle rockets. •There were an estimated 1,300 emergency department-treated injuries associated with firecrackers. Of these, an estimated 47 percent were associated with small firecrackers, an estimated 4 percent with illegal firecrackers, and an estimated 49 percent with firecrackers for which there was no specific information. •The parts of the body most often injured were hands and fingers (an estimated 33 percent); head, face, and ears (an estimated 20 percent); legs (an estimated 18 percent); eyes (an estimated 9 percent); and arms (an estimated 8 percent). •Sixty-nine percent of the emergency department-treated injuries were burns. Burns were the most common injury to all parts of the body, except the eyes, where contusions, lacerations, and foreign bodies in the eyes occurred more frequently. •Approximately 92 percent of the victims were treated at the hospital emergency department and then released. An estimated 7 percent of patients were treated and transferred to another hospital or admitted to the hospital. 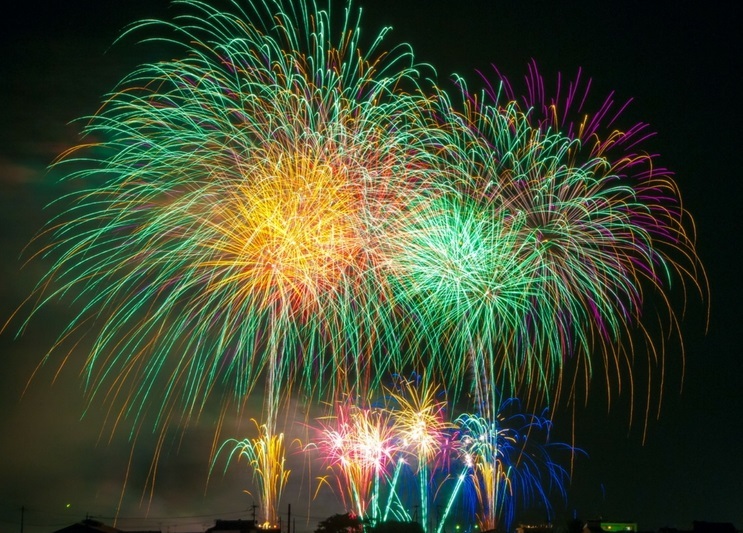 Posted in Blog | Comments Off on Facts about Fireworks….be SAFE! Insurance companies can’t cold call about Medicare supplemental plans. At least one or two times a week (since I turned 65 and went on Medicare) I receive promotional material from different health insurance plans available in my area. I have already signed up for a supplemental plan which I am happy with so far. Since I have ignored all the mailings can these companies start calling me directly? Medicare has given permission to private companies to market and sell Medicare Advantage Plans and Part D prescription drug plans but there are very clear guidelines they must follow. 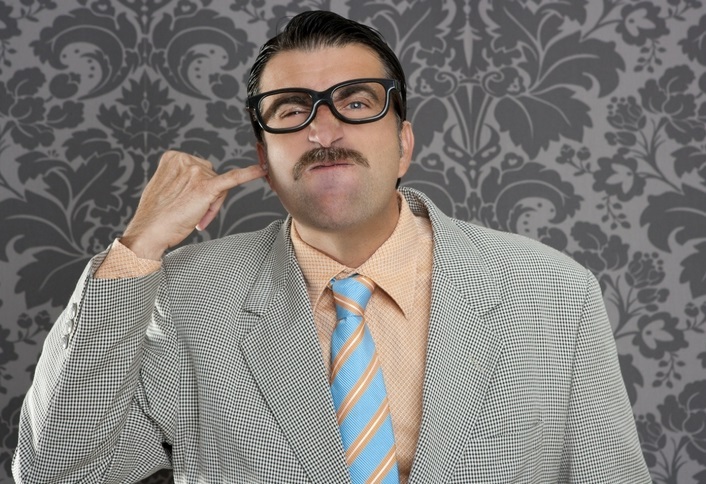 Sales representatives are not allowed to call you unless you specifically ask them to do so. Door-to-door “cold calls” are also prohibited. If either of these occur consumers are strongly encouraged to call 1-800-MEDICARE to file a report. If a Medicare beneficiary chooses to meet with a representative they should understand what to expect during the visit. Upon receiving permission to schedule a meeting the sales representative must document the options you want to learn more about. The individual can provide plan materials, explain how the plan works, give you an enrollment plan, collect a completed enrollment plan if you decide on the option and leave cards for you to pass on to friends and family. 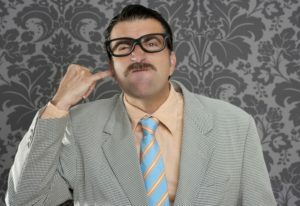 The agent cannot discuss other plan options you have not inquired about, sell you any other products not related to health care (such as life insurance), ask for credit card or banking information, or use pressure tactics to get you to make a decision you are not prepared to do at the time. They also should not ask you to provide names, addresses and phone numbers of family/friends for them to solicit. Following the meeting the plan may contact you only if you chose to join the plan during the meeting with the sales representative. It is often advisable to have another family member or trusted acquaintance to be present during the meeting. This is one way to assure you all rules will be followed and this person may assist you in asking questions if you are unclear about the information presented. Source: Rosanne DiStefano, October 28, 2013, Eagle-Tribune. 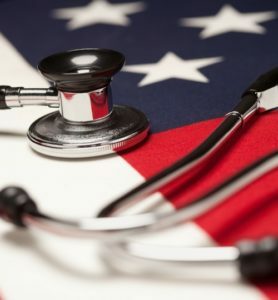 Posted in Blog | Comments Off on Insurance companies can’t cold call about Medicare supplemental plans. Posted in Blog | Comments Off on Beware of Medicare Scams! It is needless to say that you seek security in your life. Obviously, you want to live a life surrounded by your loved ones, forgetting all the worries. But, when the thought of financial damage due to some unfortunate incidents crosses your mind, I am sure you lose your peace. In such a situation, when you are thinking of securing all assets of yours and even your life, it is necessary that you get everything insured. And for that, all your need is a health insurance. And one trustworthy name in areas like Archbold, Bryan, Defiance and Montpelier OH, for providing ideal insurance policies for health is Beck Insurance Agency. Are you wondering, why you should come to us and why we are one of the most reputed ones in the area? Read the following points to know why you should trust us. Experience: Serving since 1948, we have a glorious period of experience in dealing with various clients. We have witnessed the paradigm shift in the world of finance. And we also know how difficult it can be for anyone to feel secure amongst the threats of financial loss and liabilities. So, our team advises you to take all the required measure to insure your assets. Transparency: It is surely necessary for anyone to hire some firm that will be completely transparent in dealing, especially in the case of financial deals. So, when you are thinking of insuring the assets, you need to find a company that will be transparent enough about your dealings with them. We ensure 100% transparency in our clauses and dealings. Complete Assistance: We totally understand that financial dealings can leave you bewildered. So, it is necessary that you get the complete assistance while opting for insurance. Our team of executives is ready in Napoleon and Waterville OH to assist you. Call us on our toll-free number 877-446-2325 to get more information. We promise to provide you the best insurance for you and your family’s health. Defiance, Bryan OH Health Insurance from Beck Insurance is affordable peace of mind. Contact us today for details on Defiance, Bryan OH health insurance. Are you thinking of getting a new car? Or maybe thinking that a policy will be enough to help you drive without any worries? If yes, then you are mistaken. At Beck Insurance Agency, we meet people who once had ignored having auto insurance and later on, they regretted a lot. If you are wondering, how it will help you or maybe affect your finances, then you need to have a clear idea of what all the insurance covers. Often, there are many people who suffered from huge losses because they ignored buying auto insurance. When an unfortunate incident, like an accident, happens it not only hurt you physically, but also causes enormous financial burden that can affect you a lot. So, if you are in the areas like Archbold, Bryan, Defiance or Montpelier OH and thinking of getting auto insurance, come to us. We are here to offer to you what you need. Still wondering, do you really need it or not? Then take a look at the following points to get rid of the dilemma. Bodily Injury Liability: If you are behind the wheels and your vehicle is responsible for someone’s bodily injury, then it is obvious that you will be liable financially for this case. Auto insurance covers such grounds and you will get adequate bodily injury coverage for such cases. Uninsured and Underinsured Liability: Though the law is to carry insurance for the cars, but everyone doesn’t seem to follow that. As a result, if you are involved in an accident with another car, which is underinsured or uninsured, it is going to get you in deep trouble. To save yourself from financial debacle, best get auto insurance now. Damage: If you are involved in some accident, where your car becomes responsible for the damage to some other vehicle, then it is necessary that you cover up the damage completely. And its only auto insurance that will completely cover such liability for you. I am sure that now, when you know how this insurance can have your back when you find yourself entangled in some terrible situations, you will get one for your car. If you are in Napoleon or Waterville OH, get in touch with us by calling at 877-446-2325 and get all the information. Defiance OH, Bryan OH Auto Insurance from Beck Insurance is affordable and the quote is free! Contact us today for Defiance OH, Bryan OH auto insurance.